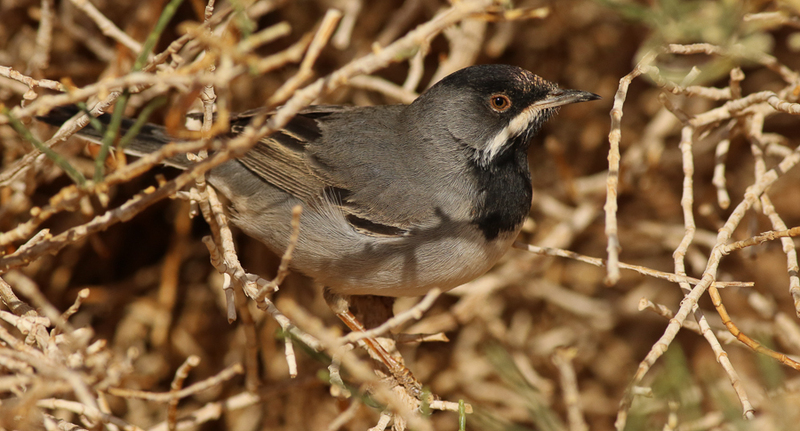 Euan Ferguson was in Saudi Arabia with a couple of other birdwatchers in spring 2017, conducting an environmental survey and found a male Ruppell's Warbler at Sharma in the far northwest coast of the Red Sea on 19 March 2017. This species is a rare migrant to western regions of the Kingdom with early to mid-March the best time to see it. I thank Euan for sending me the details of this bird and allowing me to use his excellent photo on my website. This is made even better by being the first time I have been able to show a photo of the species on my website.